Due to the damage to our equipment, We can no longer allow horse blankets to be cleaned here. Horse Blankets are exceptionally rough on our machines. 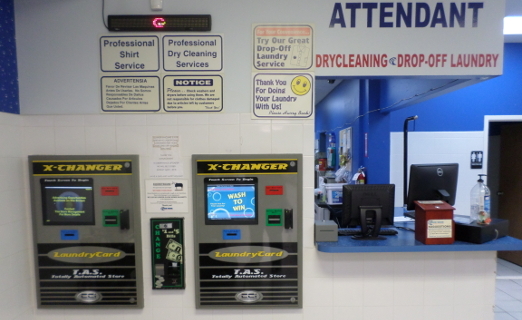 We are a fully attended laundromat with helpful employees at your service. We also have eight security cameras, a bright store, and well lit, spacious parking lot. We make every effort to ensure you and your loved ones are safe when entering, visiting, and exiting our laundry service business. There is a “new wave” in the coin-operated laundromat business and that is coin less. We provide customers with a laundry card eliminating the need to convert cash to coins. It’s faster, easier, and more convenient for you to use laundry cards instead of coins. Just swipe your card at the machine you wish to use, select your cycle options, and hit start. You can add money to your card at any time. Our state of the art equipment produces very clean clothing while being environmentally friendly. 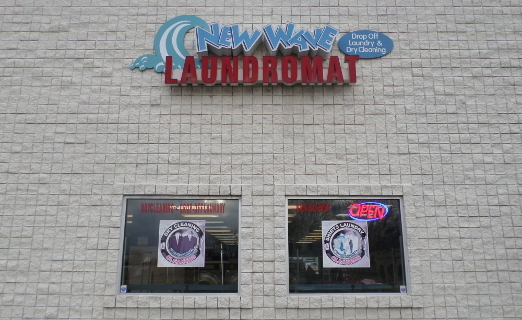 New Wave Laundromat maintains a high-standard of cleaning and drying laundry while being gentle with clothing and linens. 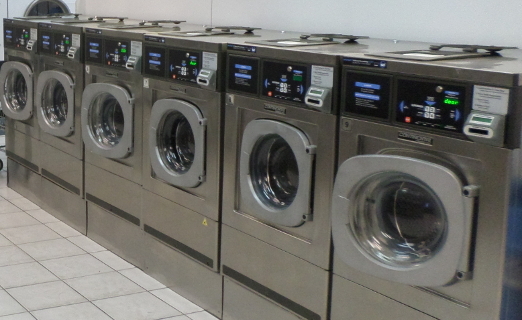 Our equipment uses less energy while maintaining these high standards in efficiency and effective laundromat cleaning and drying services.